100 PSI Carpet Box Extractor w/ Wand Kit - 6 Gal. Carpet Box Extractor 100 PSI w/ Wand Kit - 6 Gal. Carpet Box Extractor 100 PSI w/ Wand Kit - 12 Gal. 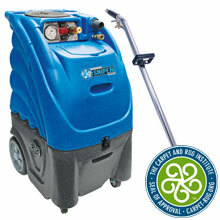 Carpet Box Extractor 300 PSI w/ Wand Kit - 12 Gal. Carpet Box Extractor 500 PSI w/ Wand Kit - 12 Gal. Carpet Box Extractor 100 PSI w/ Heat & Wand Kit - 12 Gal. Carpet Box Extractor 200 PSI w/ Wand Kit - 12 Gal. Carpet Box Extractor w/ Heat & Wand Kit - 12 Gal. Carpet Box Extractor 200 PSI w/ Heat & Wand Kit - 12 Gal. Sniper Carpet Box Extractor 300 PSI w/ Heat & Wand Kit - 12 Gal. Carpet Box Extractor 500 PSI w/ Heat & Wand Kit - 12 Gal. The Sniper is a superior performer with features and capabilities that only Sandia can provide! Our innovative air intake uses the vacuum's own cooling fans to pull cool, outside air over the motors, reducing motor temperature. Extractors available in 6 and 12-gallon solution and recovery tanks. Our Hard Surface Extractor combines exceptional vacuum and 1200 psi injection for the ultimate in contained pressure washing. Sandia Videos & Demonstrations are available for viewing here.